Let’s just hope that Hong Kong Jockey Club CEO Winfried Engelbrecht-Bresges being awarded a prestigious Gold Bauhinia Star last week in the Hong Kong government’s annual and exclusive list of those who have contributed towards enhancing the lives of the local community, and makeup of this city, isn’t confined to the racing pages of the newspapers or becomes lost in the sometimes confusing buffet on the HKJC website. 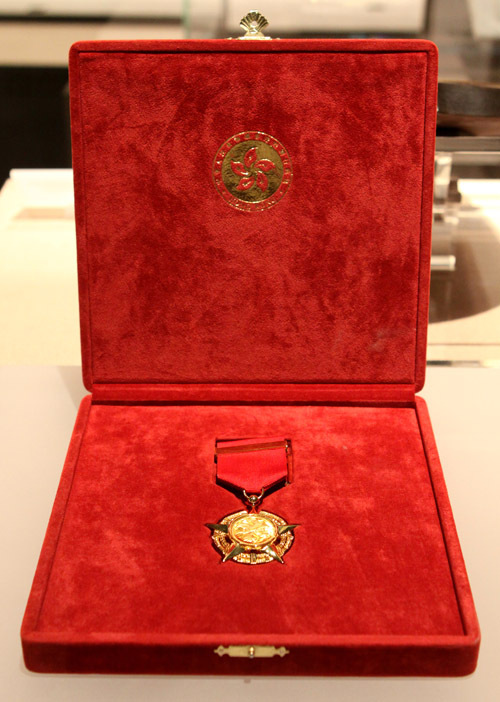 The reasons for this honour need to be understood by everyone out there. 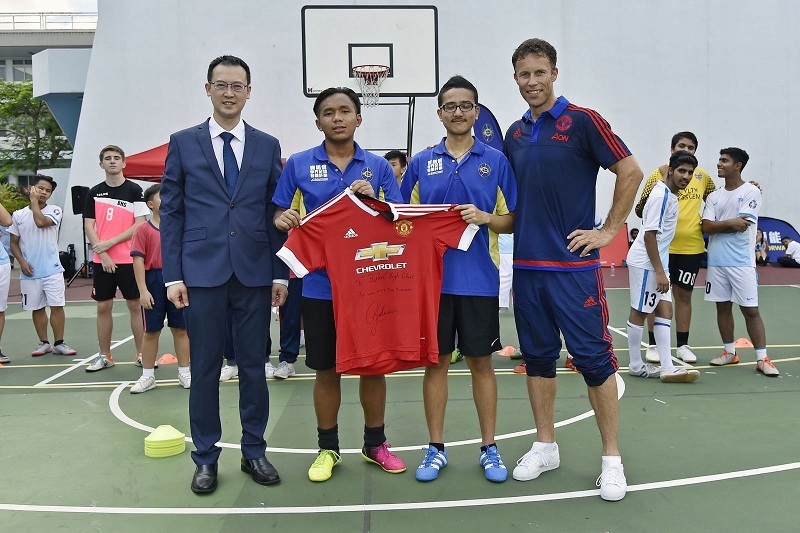 It’s good for the recipient, good for the Club, and good for Hong Kong. 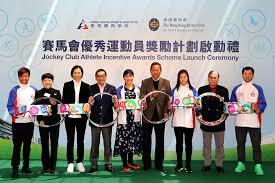 This is a huge recognition by, yes, the Hong Kong government, and let’s not be naive, been given the blessing of the Central Government in Mainland China in recognition of the guiding role the CEO of the HKJC plays in the city through its Charities Trust- and its commitment to the present and future of this place many of us call home. And these days, home is going through some important renovations, something that makes the timing of receiving the Gold Bauhinia Star even more relevant. Sure, there are those who will say, “Well, that’s why he’s paid the big bucks”, and to which, the reply from this side would be, It’s not always about the money. EB, as he’s more popularity known, is an independently wealthy businessman from one of the most prominent families in Germany. He also happens to know every facet of equestrian sports, and horse racing. There’s more, but there’s Google for that. 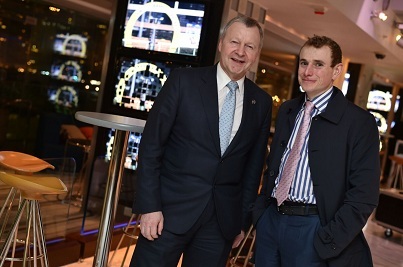 As someone who knows him as well as he would probably let anyone know him, this role as CEO of the HKJC is a challenge, and, probably, something in his DNA. He lives this role 24/7. It might be interpreted by some as all-consuming. Is he a workaholic? Does he micro-manage? Not to me. To me, Winfried is about having passion for his job, drive, pride of achievement in being the best, unwavering confidence in himself, having an inquiring, inquisitive mind, being knowledgeable about a variety of subjects, and a disarmingly “strict” way of getting things done. Strict, ruthless, whatever. It’s all done with a disarming smile and a DeNiro-like tilt of the head. Winfried knows full well The Big Picture, what’s needed to get there, and that god- and the devil- are often lurking in the details. And how, if one of these details goes walkies, it could mean everything and everyone going all the way back to the drawing board. Everyone is accountable. None more so than the person at the top. Just ask, Michael Corleone. Or Frank Underwood. 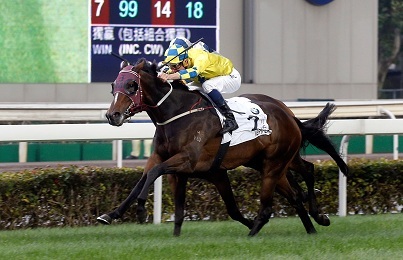 It’s through the efforts, vision and drive of this- and I like this term so I’ll use it again- disarmingly strict/ruthless- but in the nicest possible way- German with the double-barrelled surname- this stranger in a strange land- that the HKJC is what it is, and where it is today- incredibly successful and a million light years from the tenure of his Monty Pythonesque predecessor and cardboard cutout-like CEO that was Larry Wong. 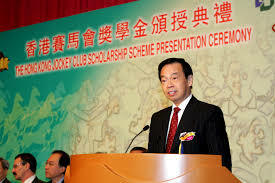 Wong- stiff, definitely not a horse racing man, and with some daft ideas about how to make the sport more consumer friendly- was a bizarre choice to lead an organisation as large and as complicated as the HKJC. This is a racing club that’s more than a racing club, and often hampered by all the bureaucratic red tape that it needs to cut through to get things off the table. While needing to be skilled and diplomatic to accomplish this, internally, at the same time, there’s the need to show its human face and giving side to the public and the mainstream media. It’s a delicate balancing act that requires timing, intelligence, and the patience of Job. No one said life would be easy. And occupying the seat at the HKJC where the buck stops is never easy. Yet, for the past ten years, Winfried Engelbrecht-Bresges has occupied that seat, and seen it all- the highs and lows of a city presently undergoing change, reading the mood of its people, and seeing what role the Club can play in all of this in a way that’s relevant. Whether looking at the plight of Hong Kong’s elderly or the education programmes needed to guide the next generation on their life journey, plus looking at ways of bringing back the unique internationalism of the city, something that has been somewhat lost along the way, through supporting everything from sports and the arts that bring this, well, “co-mingling” of different nationalities and cultures together, the HKJC’s Charities Trust has been an important catalyst. 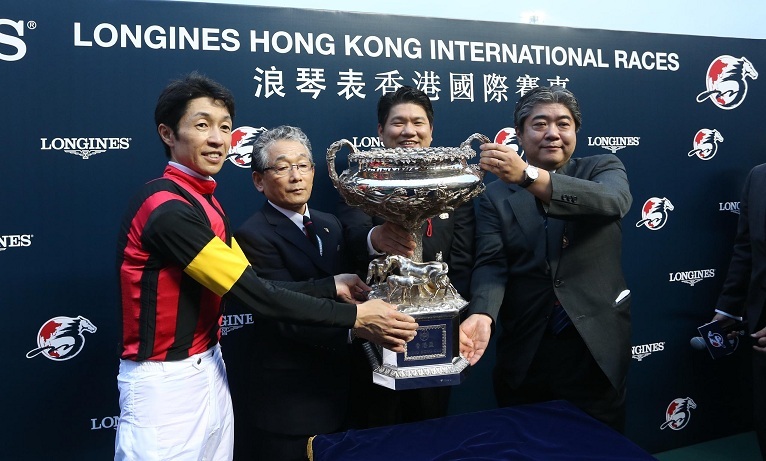 Then, of course, there is the horse racing, something else that has not only come of age under the leadership EB, but where the HKJC is today recognised as the most successful racing jurisdiction in the world with a huge emphasis placed on matters of integrity. 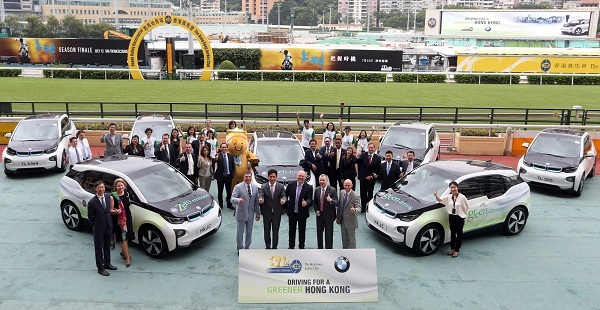 While other racing clubs seem to plod along, or are constantly busy putting out fires, or else making U-turns like Mr Bean, the HKJC keeps enlarging its investment portfolio- and showcasing this for the world to see. 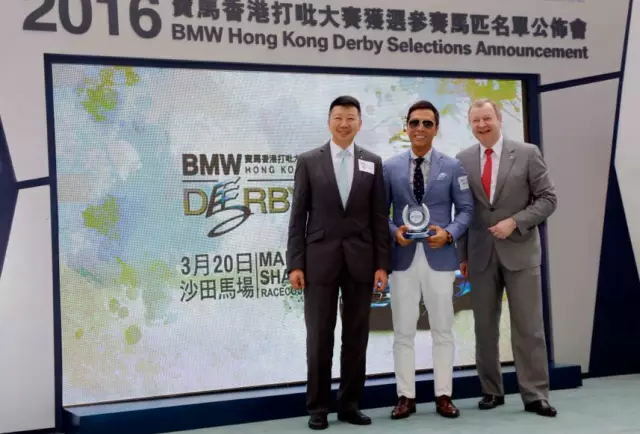 Let’s not mention how Sky in Australia showcases Hong Kong racing. 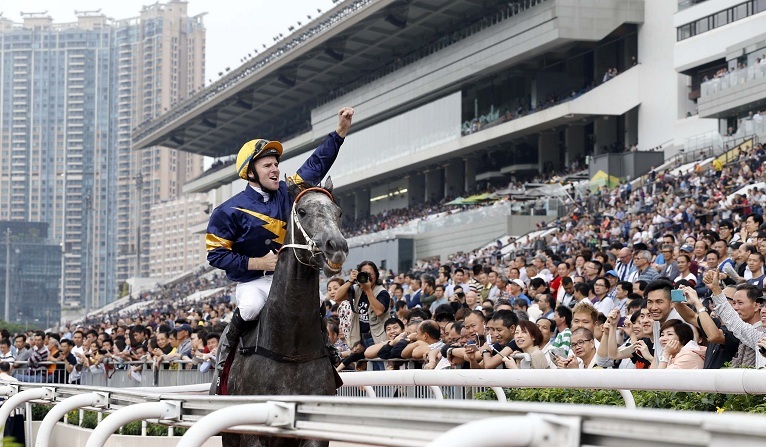 Let’s accentuate the positive like the number of Group 1 race days the HKJC has hosted- and the results. Looking at this season, turnover has been on the positive side of the ledger, something that goes against a downturn in the global economy. 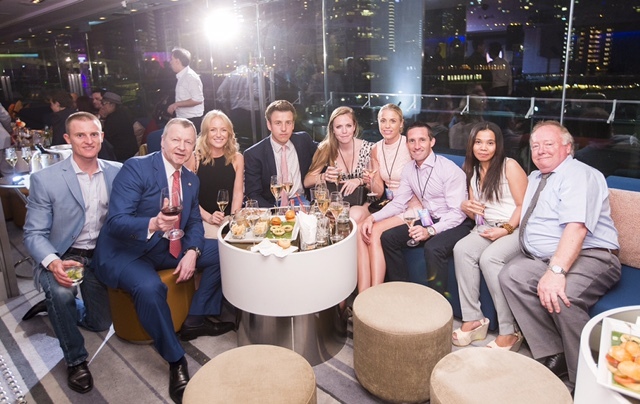 The Club, meanwhile, keeps enhancing two of its brands, and both, being very diverse. 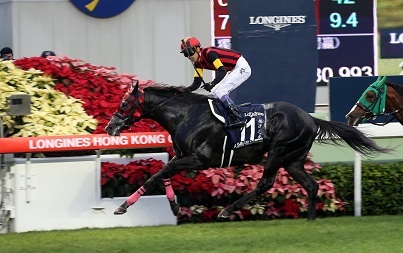 There’s the Hong Kong International Races that gets bigger, better and, well, more international each year by attracting the very best from the racing world. 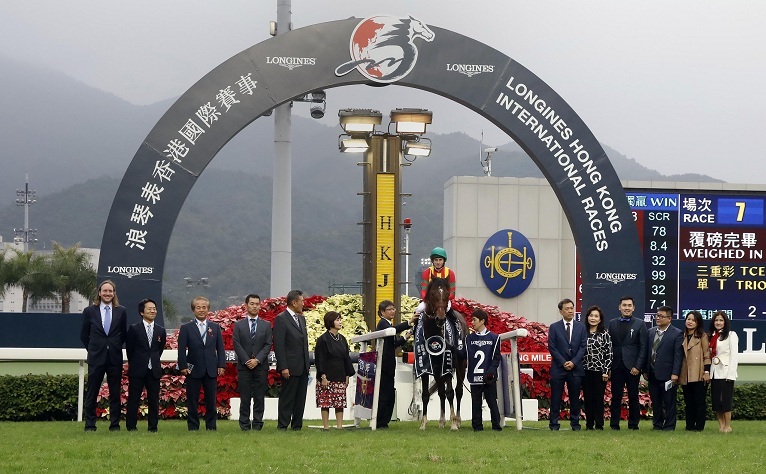 It’s a brilliant annual showpiece for sponsor Longines, and for Hong Kong as a tourist destination as the home of The Greatest Show On Turf. 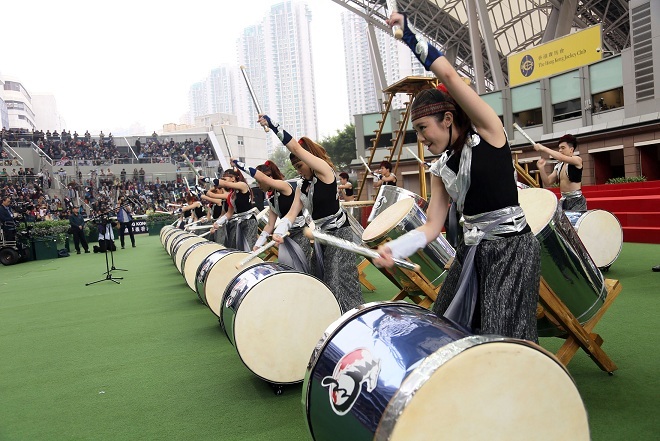 There’s then the Happy Wednesday brand that’s brought, and continues to bring horse racing up close and personal at the unique Happy Valley Racecourse to a new generation of racing fans. It’s a brand that has also made fans of the main attractions of the show: The jockeys. It’s made horse racing actually fun. Remember fun? Winfried Engelbrecht-Bresges does along with the business of running a racing club. It’s why a brand like this has been allowed to evolve, and why the creative envelope keeps continuing to be pushed. As well-known columnist, television personality and political analyst Michael Chugani put it, “As in the colonial days, gongs are often handed out to people just for doing their jobs. I’ve always believed awards should go to those who’ve done much more than what’s expected of them. That’s what the two firemen who died recently did. They richly deserve the medals of bravery posthumously awarded to them. 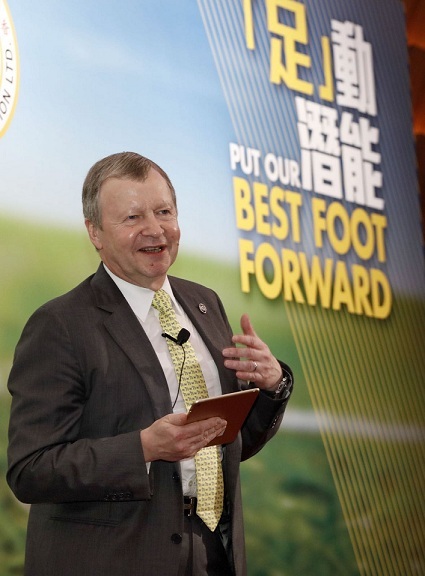 In his own way, Winfried has done far more than what was expected of him in steering the Hong Kong Jockey Club. He has brought a new meaning to both racing and the noble cause of charity.” Well said. And congratulations, Winfried. This entry was posted in HAPPY WEDNESDAY, Hong Kong Jockey Club, Hong Kong Racing, Horse Racing, The horse racing industry, WINFRIED ENGELBRECHT-BRESGES and tagged HKJC, HKJC Charities Trust, Hong Kong Jockey Club CEO Winfried Engelbrecht-Bresges, The Greatest Show On Turf, Winfried Engelbrecht-Bresges. Bookmark the permalink.